On behalf of Terry McGeefrom PC Pilots Ireland, we’re pleased to inform you that from todays issue we offer you their PC Flight Magazine for free. For those not familiar with the PC Pilots Ireland and our magazine, here’s a brief history. The PC Pilots Irelandhas been in existence sine 1993, when Ian Broni and Terry McGee decided to start a Flight Simulator Club, the ‘PC Pilots Club of Ireland’, to share our interest with other like-minded people who used Microsoft Flight Simulator and Laminar Research X-Plane. 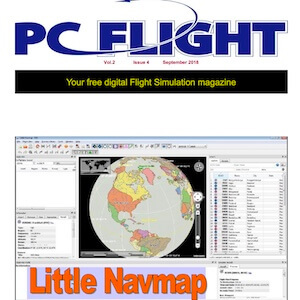 All articles and reviews in our magazine are provided to the flight simulator community.